Leading Age Services Australia, the voice of aged care, has appointed a specialist advisor to drive and promote the development of young leaders in the aged care sector. CEO Sean Rooney says he is delighted to announce the appointment of Samantha Bowen as LASA’s Principal Advisor – Next Gen.
Samantha was one of the key drivers of LASA’s successful Next Gen forum in Western Australia last year, and her new role will build on that foundation. “The industry needs to attract and develop young leaders to ensure the growing numbers of older Australians receive the best possible care, support and service,” Mr Rooney said. “Next Gen is designed to promote the changing face of aged care – and profile the aged care sector to young professionals as dynamic, innovative and potentially life-changing. Mr Rooney said Samantha’s work will align closely with the Aged Care Workforce Strategy. Key projects will include the development of an emerging leader’s strategy, a young leader’s national network, a mentoring program, and promotion of best practice in leadership development. “We need to attract the best and brightest young leaders and professionals to steer the age services industry through a period of unprecedented growth and change and into the future. 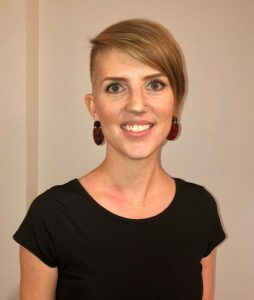 Samantha is the Founding Director of Acorn Network and has been keenly focused on supporting emerging leaders in the aged care industry for five years, creating national events and a mentoring focus on next generation leaders. “I’m looking forward to supporting the growth of Next Gen and continuing to promote aged care as a dynamic, positive and life-changing career, where all ages can be involved in building a future we can all grow old in,” Samantha Bowen said. She has commenced work with LASA this week.